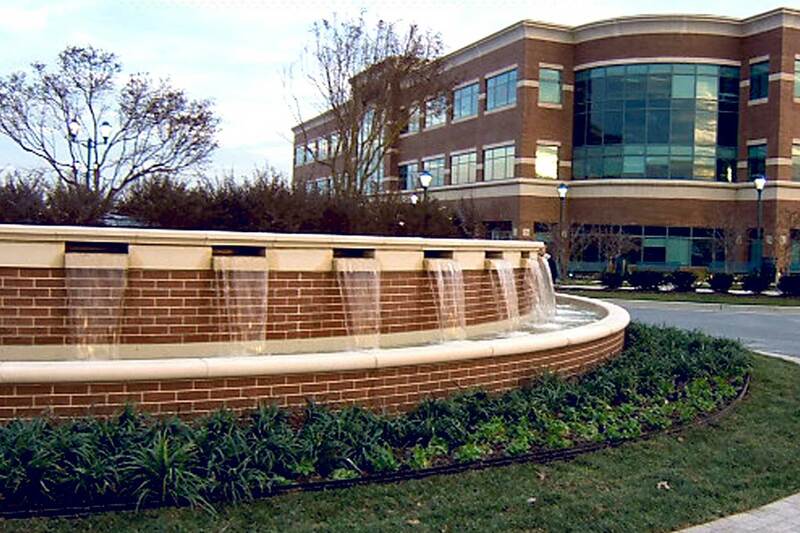 The fountain designers wanted to create a fountain integrated into the roundabout outside Corporate Place. 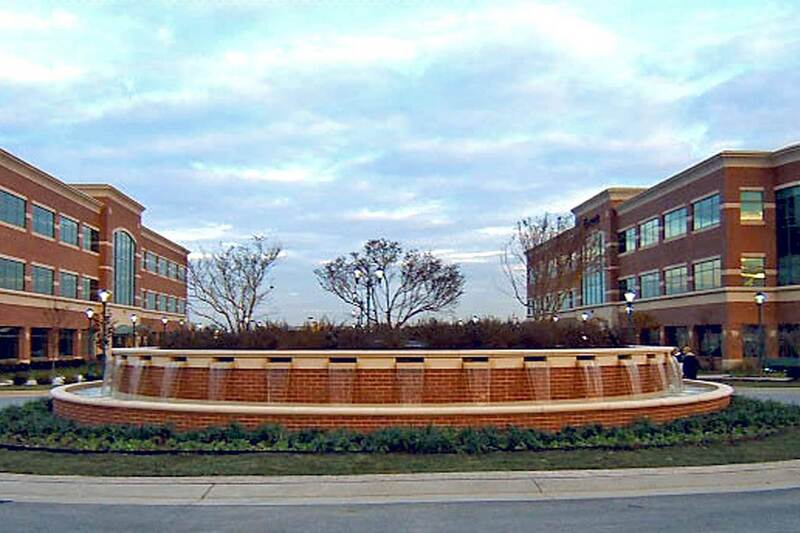 The fountain is a large circular basin with scuppers spilling out the sides of the brick wall that surrounds the basin. The scuppers give a sheer cascade of water along the side of the fountain basin. 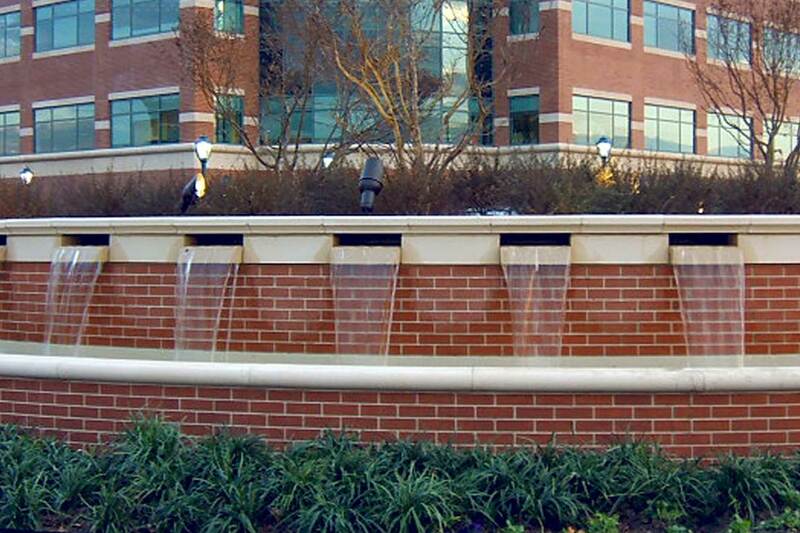 Corporate Place Fountain is an elegant stationary water feature that provides a subtle, yet visually pleasing display in a corporate environment. 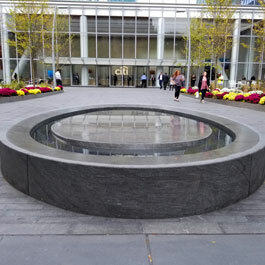 Delta Fountains mechanically and electrically engineered the feature to include a two-part circular water basin surrounded by a roundabout. The fountain’s first basin is comprised of 36 weirs simultaneously spilling clear sheets of water into a narrow outer basin. 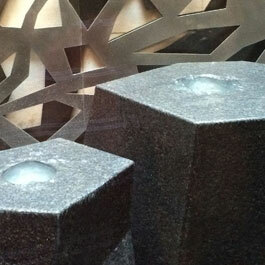 Each weir is illuminated by a low voltage niche light. 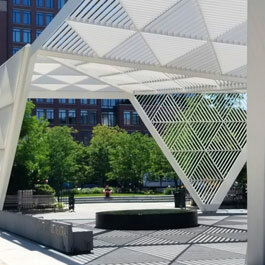 The center of the feature provides a landscaped area under which a fiberglass vault, containing all mechanical equipment, is discreetly buried. 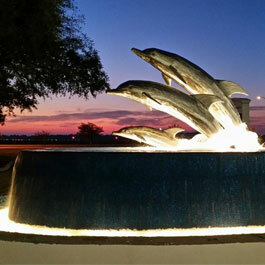 The fountain is further illuminated by nine landscape-style lights strategically placed in this area.